Whether you are an owner, a tenant or prospective investor, Mel Foster Commercial Real Estate Services is your expert in this field. From Mel Foster, Sr. who worked on the development of Davenport’s downtown business district to the contemporary projects expanding the borders of the Quad Cities, Mel Foster agents have continued to be a strong force in this market, dedicating themselves to both the small business entrepreneur who wants a clean, professional environment, while serving the large corporations who need multi-level facilities to house their diversified staff. 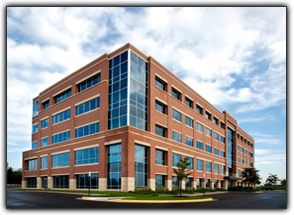 The overall office sector of the Quad Cities market is currently beginning a positive growth trend after developing an oversupply through new construction and renovations in recent years. Redeveloping the Downtown areas and expansion in border areas have brought excellent opportunities for large and small businesses to find new and additional locations to serve their clientele. New development has brought more professional space in office parks like Coventry Place on Utica Ridge or the Mississippi Plaza in the heart of downtown and the upcoming Bass Street Tower along Moline’s riverfront, developing and renovating areas throughout the community that have been previously underutilized. It is an exciting growth trend for the office sector as new opportunities for businesses also include innovative ways to attract and retain tenants while keeping rental rates steady. Our goal is to provide the positive benefits of doing business in the Quad Cities Market to a complete package for tenants as well as landowners alike.